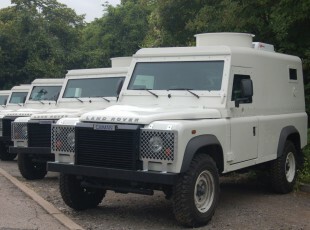 We design, develop and manufacture protected vehicles for the defence and security arena. 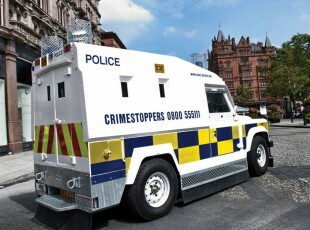 Pangolin The Pangolin armoured personnel carrier (APC) was developed for the Police Service of Northern Ireland as a replacement for their ageing fleet of armoured Land Rovers. Caiman The Caiman CIT (Cash in transit) is a fully armoured high mobility personnel and cash/goods carrier available at level BR4 to BR6+ with seating to rear, gun points and air conditioning unit.